MEPs express support for the #FreeIran2018 gathering in support of Iran’s main democratic opposition. As the annual gathering of the Iranian opposition grows near, a growing number of Members of European Parliament (MEPs) and other governmental entities have expressed their support for the event and the opposition movement, of which the MEK is the largest and most well-organized group. 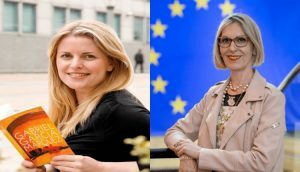 The two most recent MEPs to express solidarity with the Free Iran rally and the Iranian opposition movement are Emma McClarkin and Beatriz Becerra Basterrechea. Emma McClarkin, #UK Conservative Member of the #European Parliament 4 the East #Midlands. The people of #Iran want real change. ON the 30th of June I am delighted that the Iranian community will be meeting in #Paris. “The people of Iran want real change from the protests in January. We have seen that you want an end to oppression, that you want freedom and democracy to come to Iran and an end of the oppression by the regime and their security forces. Spanish MEP Beatriz Becerra Basterrechea also recently expressed her support for the Free Iran rally. Ms. Basterrechea is a liberal-democratic writer and politician from Madrid. 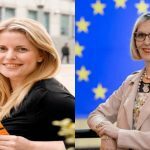 She is the Vice-Chair of the European Parliament’s Subcommittee on Human Rights and is a member of the Group of the Alliance of Liberals and Democrats for Europe. “I am particularly encouraged by the role women play in leading many of these protests. I think Maryam Rajavi, President-elect of NCRI, whom I have met several times, is a role model for many women who want to stand up for their rights in Iran. “From all indications, we can see that after four decades of brutal and anti-women rule of the mullahs, change is about to come to Iran. The people of Iran have said it clearly: We don’t want to be ruled by these fanatics who have ruined the country in all these years! This year’s gathering is titled “Free Iran: The Alternative” and will he held on June 30th in Paris. The MEK will help lead the discussion on the future of Iran and the need for regime change. More information about the Free Iran rally may be found here.